It’s almost November and Halloween is just around the corner. In celebrating the upcoming Halloween season, we made a compilation of grotesque tutorials for all horror movie fans and horrible image lovers. 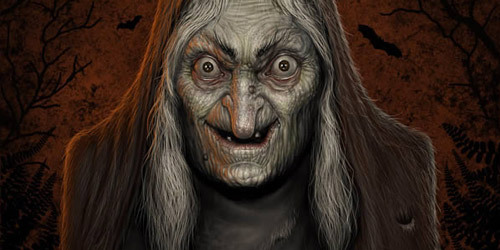 We’ve collected 45 Horrifying Photoshop Tutorials for Halloween that you can read and get amazing techniques for your own freaky image designs. 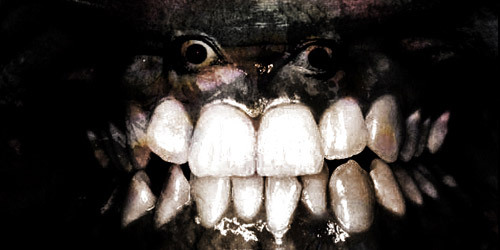 The longer you browse through this article, the more knowledge you will gain in creating a realistic and scary image. 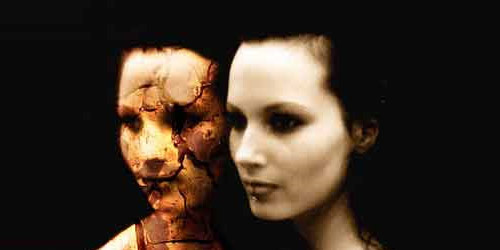 Learn to manipulate images using Photoshop and use various textures to get the effect you want using the tutorial listed here. Have a horrendous browsing! 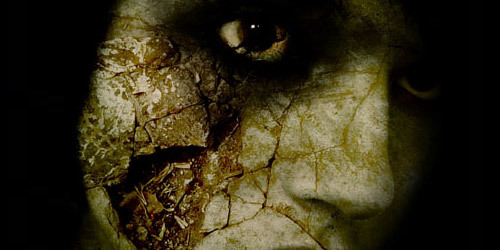 A zombie is created in the above tutorial using Photoshop. 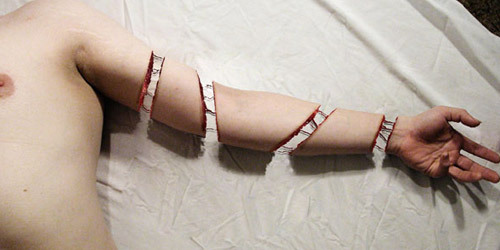 In this tutorial, you will learn how to create a severed arm with fleshy stumps and strings of sinew. This will be created by using some basic Brushes and Layer Masks. 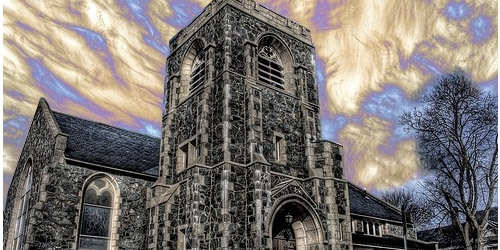 In this tutorial you will learn how to create the decaying effect for your image using Photoshop. 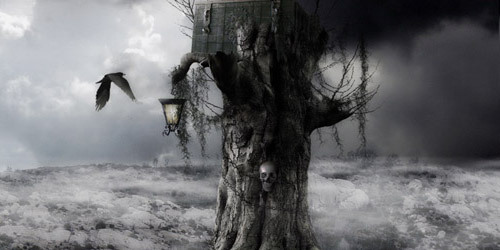 This tutorial will show you how to create a vampire scene using Photoshop. 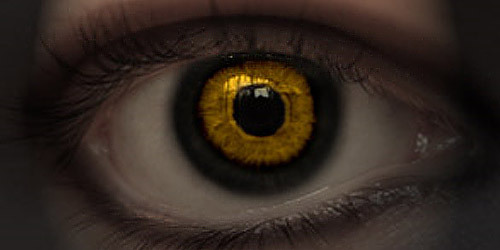 Learn how to create a devil’s eye by following the steps given in this tutorial using Photoshop. 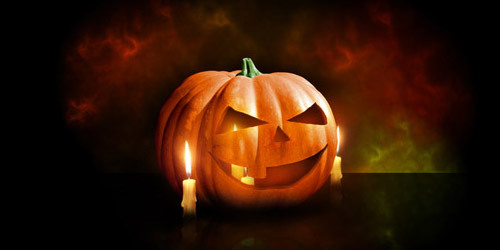 Halloween pumpkin wallpaper is created above using Photoshop. Learn how to play colors, apply layer blending modes and more. 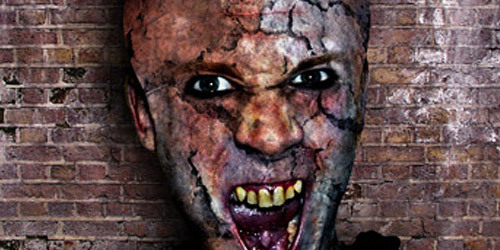 Using Photoshop CS2, learn how to create a zombie. 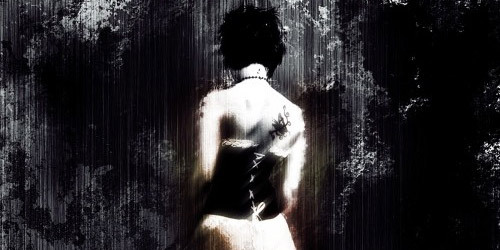 This tutorial will help you create dark art images using Photoshop CS. 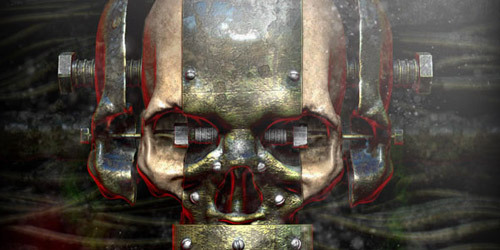 In this tutorial you will learn how to combine ZBrush materials and lighting render passes to create a stunning metallic textured skull. 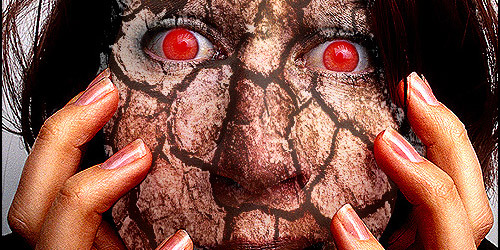 In this tutorial, you will be guided to create a burning flesh image in Photoshop. Masking techniques and color correction and tuning will be shown in the above article. 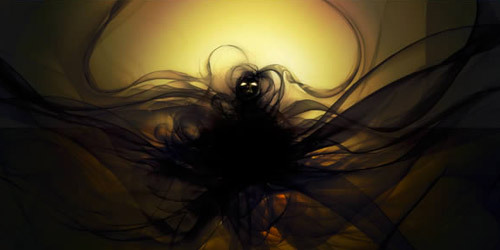 Another dark art tutorial is given above using Photoshop. 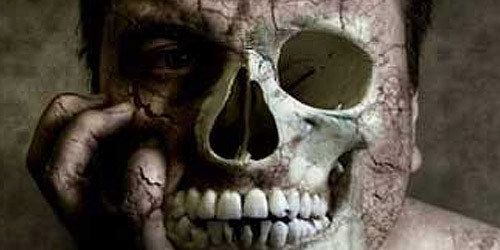 Transform a human image into a zombie by following the steps given above using Photoshop. 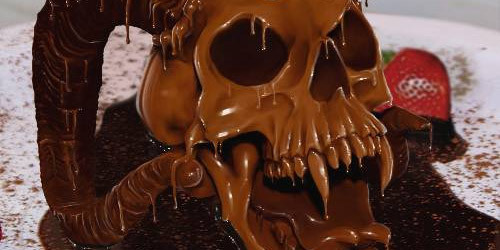 By using the brush, eraser and smudge tool, learn how to transform a skull into –everyone’s favorite- chocolate. 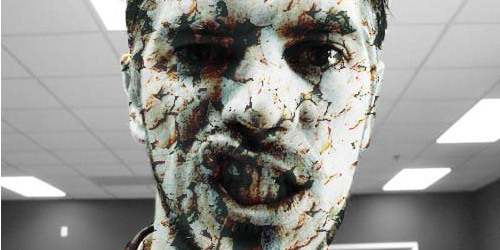 Twenty steps in turning your photo into a zombie image are given in the above tutorial using Photoshop. 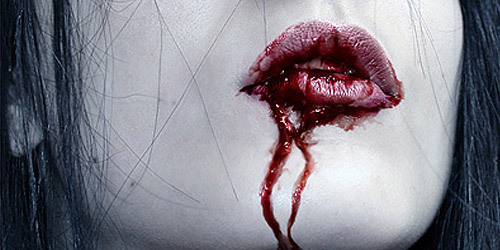 Create a bloody-mouth look in Photoshop by following the steps given in this tutorial. This tutorial will show you how to do this using the appropriate light balance, use of midtones, depth of field, blending, and more. 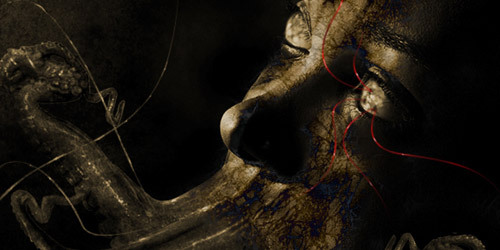 Another tutorial on grunge manipulation is given above using Photoshop. Create a hollow landscape by following the steps given above. This tutorial will teach you how to create an alien image using Photoshop. 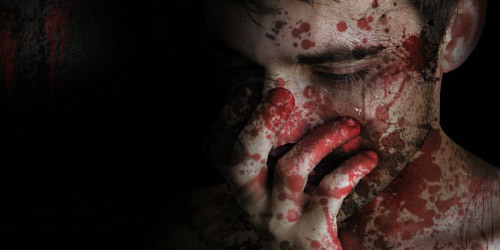 Learn to create another zombie image using Photoshop. 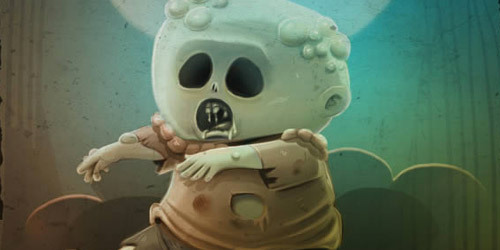 Liran Szeiman will demonstrate to you how to create a cute zombie illustration that might be more appropriate for less mature audiences. 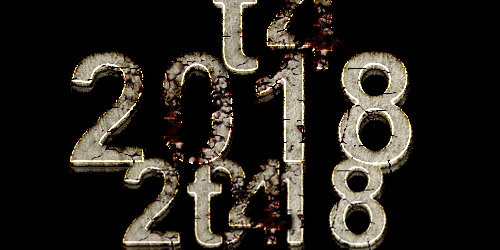 A grungy style poster is created on the above using extract filter, layer blending effects, masking, photo filtering tools and image adjustment tools in Photoshop. 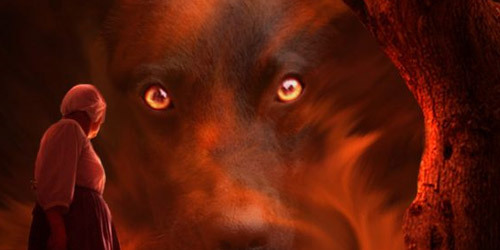 Learn how to use custom brushes and Transformation tools to create a ghostly and demonic-looking being in Photoshop. 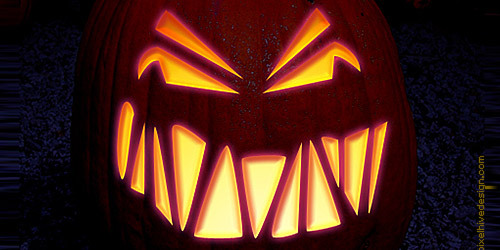 In this tutorial you will be guided in creating a virtual Jack-o-lantern using Photoshop. Give an image a vampire look by reading through this tutorial and follow the steps given. 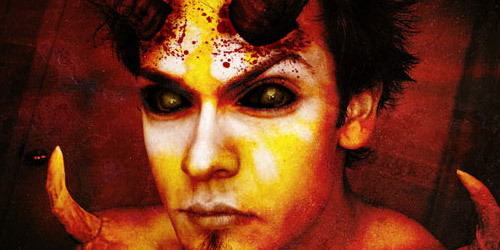 Create a demon image using Photoshop and the above tutorial. 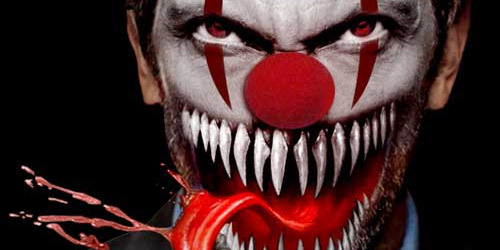 Turn a clown into a terrifying monster by following the steps on the above tutorial. 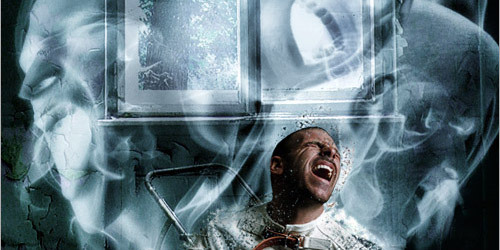 This tutorial will help you create a scary mental hospital scene through Photoshop. 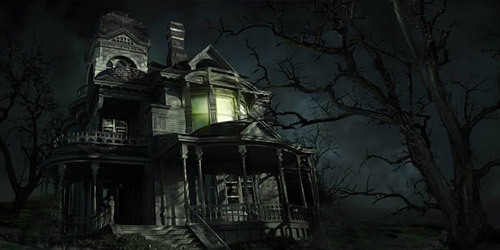 Create your own haunted house image by reading through and following the steps given in this tutorial. This tutorial is all about setting the mood of the scene and to give the viewer a sense of foreboding and trepidation without the use of spirits, ghouls or any other cliche tricks. 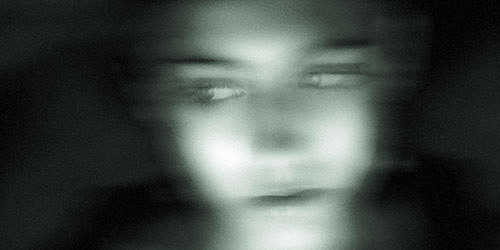 Give your image a ghostly appearance by following the steps given in this Photoshop tutorial. 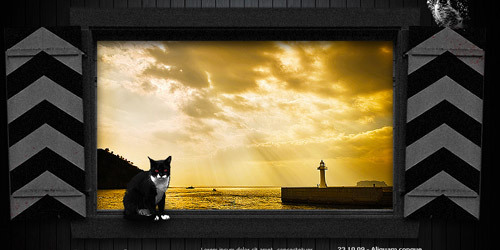 Create your own Samara image by following this tutorial. 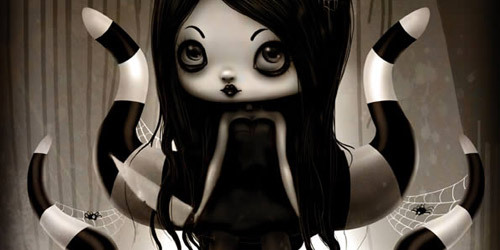 Create a character illustration with a spooky-feel by using a Photoshop. In this tutorial, you will be guided in the proper use of textures in Photoshop as well as the importance of finding the great texture. 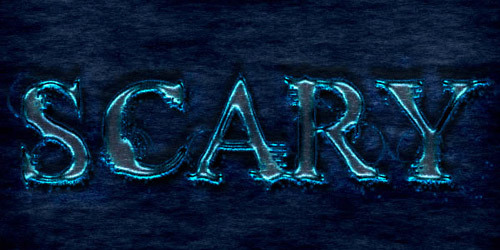 Here is a real quick how-to in creating an eerie text effect in Photsohop. This tutorial will help you harness your digital painting skills in Photoshop. 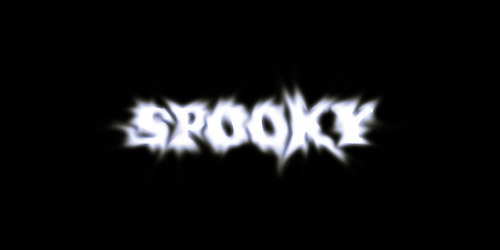 Create your own spooky texts by following the simple steps illustrated in the above tutorial. 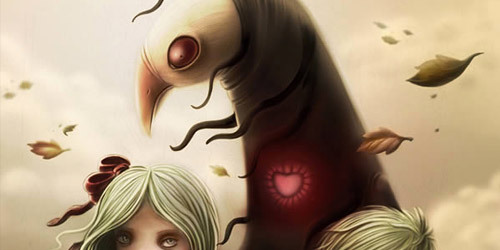 This tutorial from author Liran Szeiman is an interpretation of the song “Everything Dies” by Type O Negative and will explain how to create a dark and emotional digital painting in Photoshop. Turn a handsome photo into a freaky alien using Photoshop. 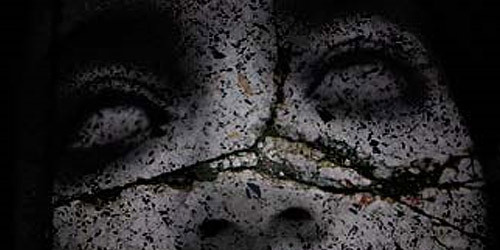 Create a stone statue using Photoshop. 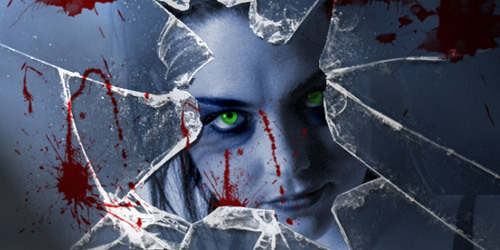 In this tutorial, you will learn how to create a Horror Movie Poster. Throughout this tutorial you will use Smudge, Burn, and Dodge tools. 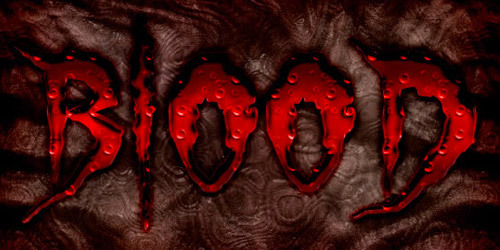 Learn how to create a horror theme text effect using photoshop. 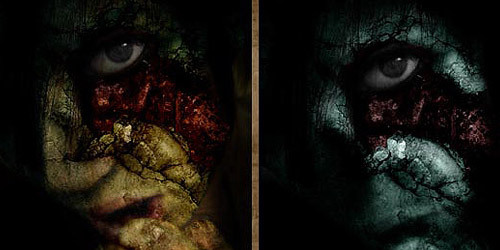 Create a horror portfolio using photoshop in easy steps. This quick tip tutorial we will show you how to create a bloody text effect using layer styles in Photoshop. Awesome list. 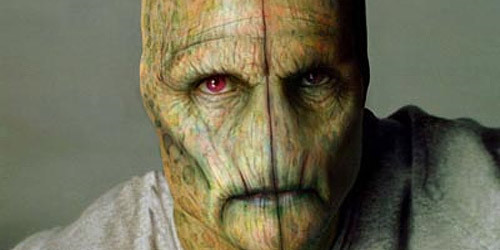 The Tom cruise being turned into an alien is a classic, my fav by far. Whoa! Totally cool, man! Thank You for sharing! even i have made my fce into zomies. i nphotoshop, but didnt write tutorial. next time ill do earlier. bw nice collection many of them are new to me. These are some sick tutorials, I better dive back into my Photoshop CS3 right now! Holy Lizards aren’t they the coolest!?!?!?!?! Why do you have one for turning Tom Cruise an alien? Are all the other commentors joking? These are easily some of the worst, most amateur and cheap looking photoshop tutorials i have ever seen. Huge collection! I’ll try to follow one of these tutorials )) Happy Halloween! 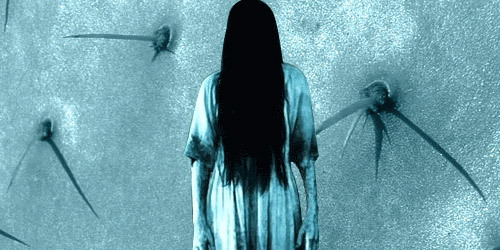 these effects are easy to understand and learn, amazing horror effects.